This July Saucony shines a spotlight on 39 specialty running stores nationwide! These are social hubs in each community; the local running headquarters where anyone can get introduced to running and walking, find resources and inspiration to live a healthy lifestyle. To be recognized is a great honor! This award is shared with our community and sponsors who are dedicated to the sport and together we’ve raised $2.5 million for the Track Shack Youth Foundation promoting youth health and fitness. View other Great American Running Shops. Plan to take part in free events and in-store activities designed to create connection to the sport we love! • Wednesday, July 18 at 6:30 p.m. Meet up for a group-led plogging run with Track Shack where runners and walkers run and pick up trash along familiar running routes. Plogging is a Scandinavian fitness trend that combines running and picking up litter. • Post-run activity: create your own shoe planter! • Giveaways, sneaker demos, & more! The event is free! Registration required! • The task is simple: Commit to log 10 miles in 10 days and you’re entered in for a chance to win a $500 Saucony shopping spree! Take the challenge! 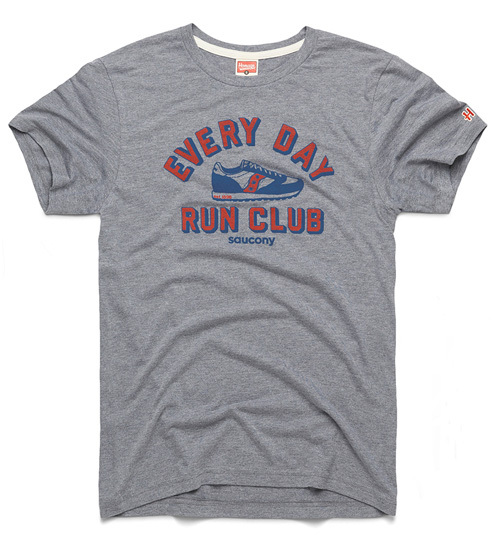 • Starting July 13, customers receive this limited edition Homage Tee with purchase of Saucony footwear or apparel. Support your local Great American Running Shop and visit Track Shack where shoes are our business but you are our specialty!